Martyn Ashton started filming Road Bike Party 2, but before he could finish it he sustained a life changing injury that left him paralyzed. 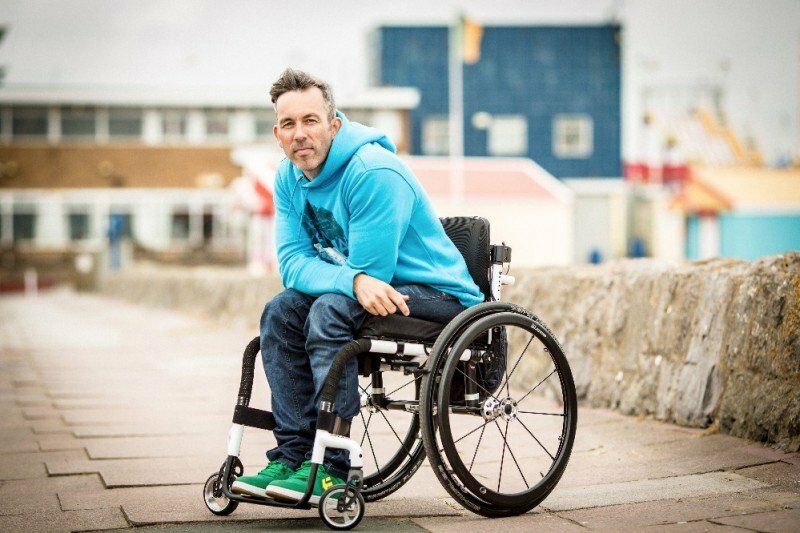 Through his injury and difficult recovery Martyn perseveres. As a true inspiration to riders all around Martyn states “I had an incredible route to ride, but as in life things don’t always go as planned. Luckily I’ve got some amazing friends to help me out”. Not to be held down Martyn enlisted trials rider Chris Akrigg and Danny MacAskill to help him complete Road Bike Party 2. If you’ve ever suffered from a neck or spinal injury it is an extremely scary situation. For those that cannot recover it becomes a complete lifestyle change and takes an enormous amount of strength to keep moving ahead in life. Having suffered a broken neck from lawn darting during a riding accident, you are left with a bunch of unanswered questions. How bad is it? Will I recover? What about family? How will my life change if I don’t recover and will I be left with a permanent disability. In some cases you ask if you will ever ride again? Believe me, I am extremely lucky and give thanks every day that I was able to recover and move on. Others are not. Martyn is a true inspiration for me and should be for every rider. I give thanks every time I’m able to go out and pedal a bike. If you would like to donate to Martyn’s rehabilitation and help towards funding his physiotherapy, house mods and adapted gym equipment you can visit Martyn’s gofundme page. It’s pretty interesting how his gofundme page got started. Martyn posted on his Facebook page to see if anyone would be interested in buying the C59 Colnago road bike that was used in the filming of Road Bike Party 2. His Facebook friends wanted him to keep the bike and the conversation moved in the direction of starting his gofundme page. I’m happy to see that Martyn’s donations have sky rocketed! Cheers and here’s to pedaling each and every day!